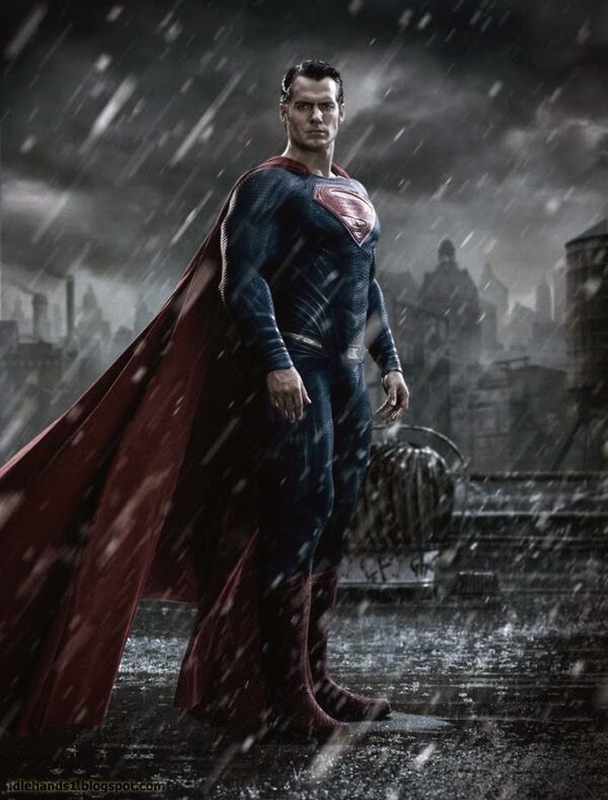 Idle Hands: Henry Cavill in "Batman v Superman: Dawn of Justice"
Geeks across the globe have been giving this film the hard, squinty stare since day one, knowing full well WB is gunning for those Avengers box office dollars but seem hesitant to roll out a legit Justice League movie hot on the heels of their successful "Man of Steel" run. Instead, we seem to be getting "Dawn of Justice" packed with the whole damn team anyway. So far, casting includes Jason Momoa as Aquaman, Gal Gadot as Wonder Woman, and Ray Fisher as Cyborg alongside Amy Adams as Lois Lane, Jesse Eisenberg as Lex Luthor, Laurence Fishburne as Perry White and Jeremy Irons as Alfred. With their 2016 release date still a loooong ways off, expect lots more surprises..perhaps even in three weeks at San Diego Comic-Con!